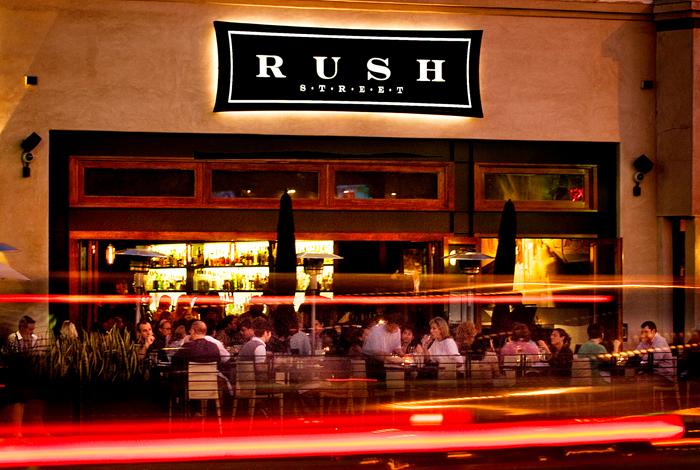 Inspired by the famous Chicago strip, Rush Street, in the heart of downtown Culver City, is a multi-level restaurant, bar and lounge serving lunch, brunch and dinner. 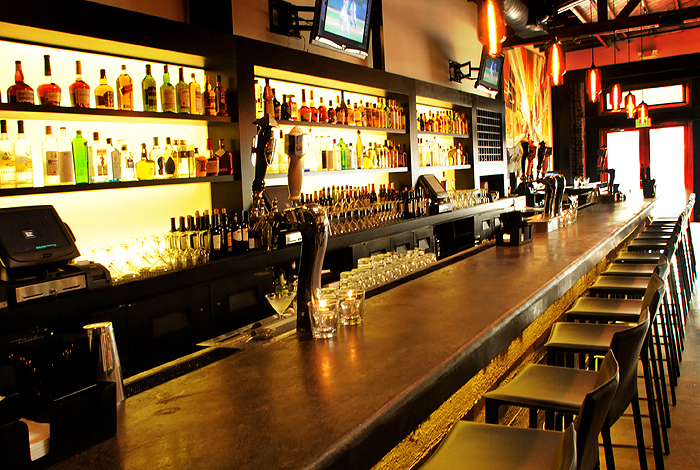 With two bars, two lounges, two outdoor patio decks and fifteen wide screen TV’s, Rush Street accommodates everything from a high-volume New American Cuisine dining program, to a vibrant happy hour and sports scene, to its progressive music and DJ-driven 2nd Floor Lounge experience, to full-venue private parties, events and film shoots. Formerly a sign shop, the Rush Street space was completely rebuilt and expanded to create a modern atmosphere that’s both comfortable and stylish. 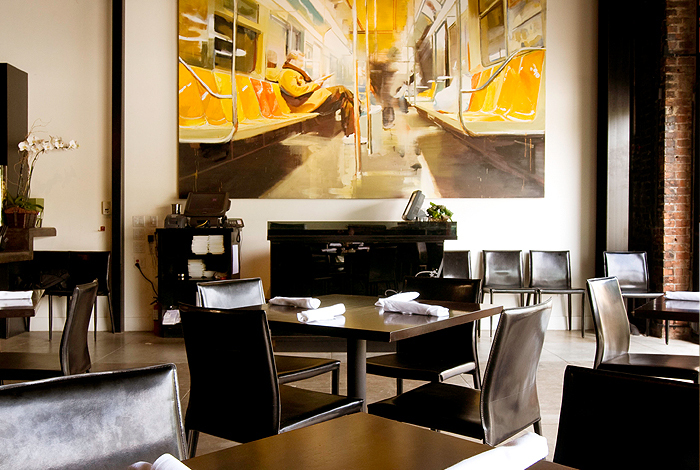 Facing Washington Boulevard, the restaurant boasts a large sidewalk patio that is connected to the front half of the restaurant through a system of sliding doors, creating a seamless openness inside and out. 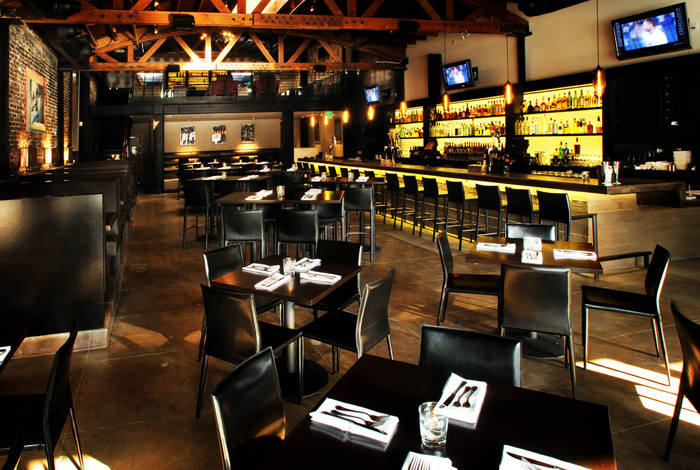 An exposed brick wall on one side of the room faces a 36-foot molded concrete bar—the largest bar in Culver City and the central gathering place in the restaurant. 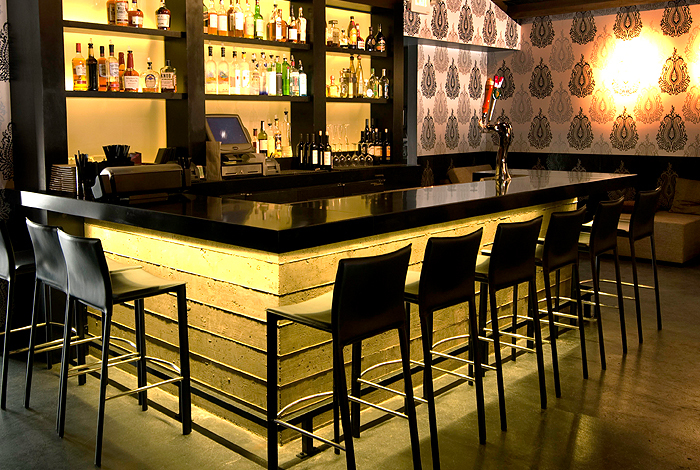 The main dining room space is peppered with dark-wood tables, and black leather booths line the wall beneath contemporary art. 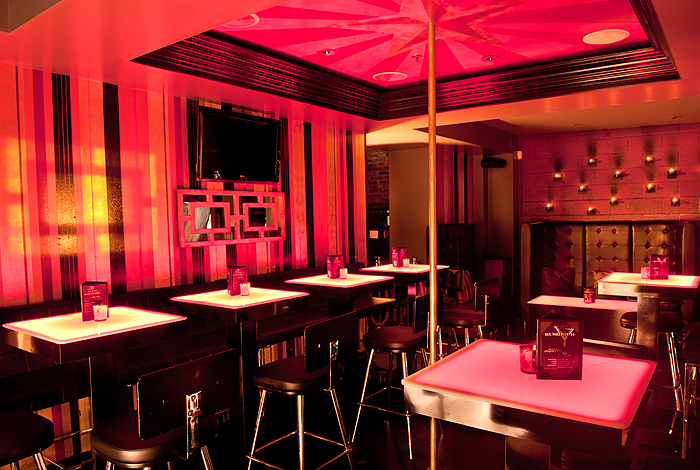 Head further back to find the first-floor restaurant lounge with its high-backed King Booths and low-lit ambiance. 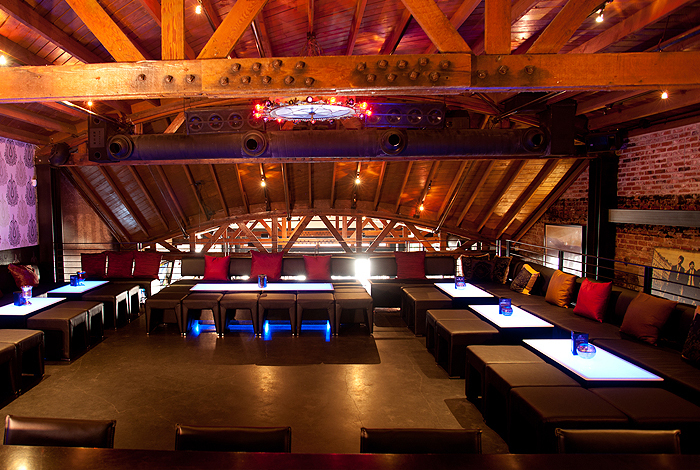 A high-arched, golden-brown wood ceiling leads the eye to the Rush Lounge, a music-driven second floor with its own bar, a private back room and Culver City’s only roof-top patio deck.